Being the victim in a Personal Injury matter, no matter how big or small, can be one of the most stressful experiences of your life. You need an aggressive attorney with the experience to guide you through the rigorous and intimidating legal process. Mr. Perez is committed to getting every client everything they deserve. Assistance is available 24 Hours 210-222-0910 Philip Perez handles all types of personal injury matters in San Antonio and throughout Central Texas: Serious Auto Accidents Serious Bicycle/ Auto Accident Injuries Wrongful Death Cases Civil Rights cases Serious Workplace accidents Premises liability Drunk Driving Victims A Former Prosecutor Who Knows How to Fight for What You Deserve! As a former Assistant District Attorney in Houston, Philip Perez understands what it takes to fight to protect the rights of individuals. The Law Office of Philip A. Perez, PLLC was founded in 2009 with an understanding that every individual in the justice system deserves strong legal representation. Philip Perez believes in the principle of protecting every person's constitutional rights regardless of their background. His unique and diverse background, work experience, and education has allowed him maintain relationships with attorneys and legal professionals in virtually every major city in Texas, including the valley. In addition to being a qualified advocate Mr. Perez understands that strong legal representation not only requires knowledge of the law but also an understanding of the complexities of our entire justice system. Our primary area of practice is based on the needs we see in the community. As a Hispanic attorney, I see a growing need in my community for assistance through the rigorous and intimidating legal process. I am committed to getting every client everything they deserve. I was an Assistant District Attorney in Harris County, Texas for four years. The Harris County District Attorney's Office is the third largest and one of the most respected in the country. I handled thousands of cases there and had many jury trials. I dealt directly with a broad range of people and learned how to navigate our challenging legal system. This experience distinguishes me and my practice from those who don't have it. Determination, experience, and a genuine desire to help. Absolutely. When consulting with potential clients, I encourage them to bring any documents that they may have. The information in their supporting documentation is often critical to making a fair and accurate evaluation of their case. The strength of this firm is that it is genuinely concerned with solving the client's problem the best way that we can. In this sense we are concerned more with quality than quantity when it comes to legal representation. We are dedicated and encourage calls, questions, and emails regarding the status of client's cases. Philip Perez is a native of San Antonio where he attended Central Catholic Marianist High School. He graduated in 1996 with a Bachelor of Arts degree from Texas State University with a double major in Political Science and Philosophy. After receiving his undergraduate degree he worked for the Texas Attorney General's Office Child Support Division in Austin. He was hired as an Assistant District Attorney (ADA) in Harris County in 2005 and stayed there until leaving in 2009 to be closer to his family and the Texas hill country. As a Prosecutor for four years in the third largest county in the United States, Philip successfully handled literally thousands of criminal cases. He has worked in several misdemeanor and felony courts and has personally tried numerous felony and misdemeanor cases in front of a jury. He is truely an aggressive advocate. At one point, he had seven felony jury trials in a seven week period. During his time in the felony courts he never lost a jury trial. One of his notable cases includes a felony trial where the jury sentenced a habitual DWI offender to 99 years in the penitentiary. His valuable experience with the District Attorney's Office also includes working in the Check Fraud Division, the Juvenile Division, several Justice of the Peace courts (traffic court) throughout Harris County, and the Grand Jury Division where he indicted over a thousand felony cases. 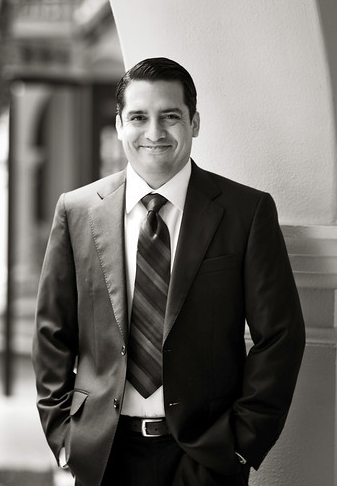 Mr. Perez has appeared on television educating the public on the law, and has judged trial competitions at both South Texas College of Law and the University of Houston Law Center. He has previously sat on the State Bar of Texas Committee on Legal services for the Poor. He currently sits on the Board of Directors for MABA and on the Advisory Board for the Bexar County Dispute Resolution Center. He is currently ranked as "Superb" Top Personal Injury Attorney by AVVO.com, and was recently voted as a Rising Star by Scene in S.A. Magazine for 2014.